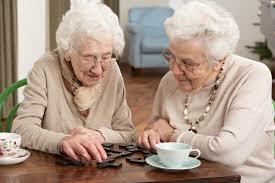 Our memory and dementia care community provides assistance for seniors with memory loss issues. This special residence is designed to care exclusively for residents with Alzheimer’s Disease or other forms of memory impairments. Close supervision is provided 24 hours a day in a secure, friendly, residential atmosphere. We take a forward look to how personal and health related services are offered to our resident’s. Because we understand that no two people are alike in their needs, we have created levels of service to better serve our residents. With each level, residents needs are assessed by our Registered Nurse and Program Coordinator to determine with the family which level best suits their needs. We take the time to get to know your family member as a person. Both personal and health related services are offered to our residents to help them stay as independent as possible, for as long as possible.